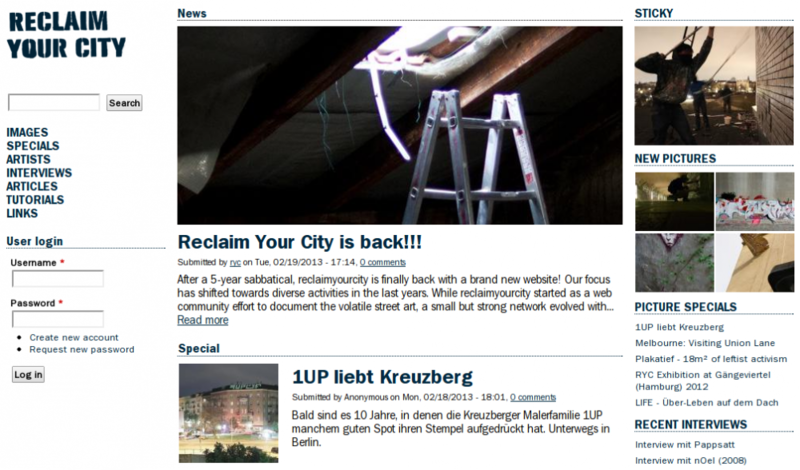 After a 5-year sabbatical, we finally relaunched reclaimyourcity.net with a brand new website! The relaunch is the result of the last couple of months of setting up and extending Drupal, refining the old content and photo database, and creating lots of exciting photo specials and articles about street art. Hopefully, the site will get its full momentum again soon!